Belgian police have been accused of ignoring and being slow to react to terror warnings over the suspects involved in Tuesday’s attacks in Brussels that killed 31 people and injured hundreds more. Despite being given specific warnings by Turkish authorities about one of the bombers, who had been detained on the Syrian border during the summer, security forces in Belgium were unable to act fast enough to catch Ibrahim el-Bakraoui and his accomplices before they carried out terror attacks at Brussel’s international airport and inside the city’s subway system. Turkish President Recep Tayyip Erdoğan ​ told reporters Wednesdya his country had identified an individual as a foreign terrorist fighter, the Telegraph reported. “[But] Belgium wasn’t able to make the terrorism connection,” Erdoğan said. 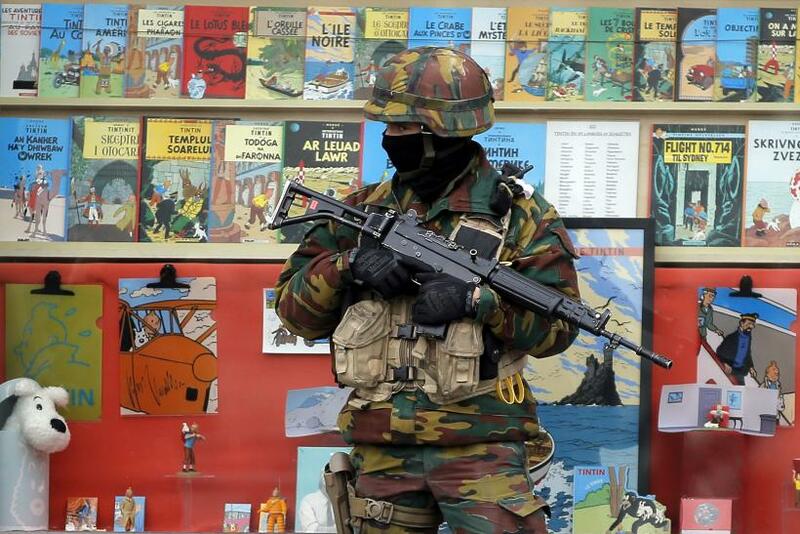 The alleged slip-up by the Belgian authorities is the latest mistake in Europe’s attempts to crack down on the extremist terror network that has sprung up since the Islamic State group came to prominence in 2014 and the Syrian refugee crisis peaked last year. The terrorists responsible for November’s attacks in Paris, that saw 130 people die, are believed to be from the same terror cell responsible for Tuesday’s bombings. But police and intelligence services in Belgium, the top source of most ISIS fighters from Western Europe, are hugely undermanned and hindered by an intelligence system that is far behind the rest of Europe, which is one reason why the city’s airport wasn’t under surveillance, security experts said. “That is concerning. There should have been an expectation that an airport was on the target list since it popped up in Paris,” Victor Anderes, executive vice president at security company Global Elite Group, told the Wall Street Journal. Amid the severe threat of terrorism in the European capital, authorities in Brussels still abide by archaic rules that prohibit most house searches between 9 p.m. and 5 a.m., which is when Paris attacker Salah Abdeslam was believed to have slipped through the Belgian security net on Nov. 15. Even though Abdeslam was caught last week, the law sheds light on how old and difficult it is to navigate the legislation. The adoption of new anti-terrorism laws “says a lot about the complexity of our institutional framework,” Koen Metsu, a Belgian lawmaker who leads the parliamentary commission dealing with terrorism, told the Journal. Before the Belgian parliament passes new laws, they need to be cleared by various bodies, including the country’s privacy authority. But the country also faces other issues in how it investigates terror cases. As soon as a prosecutor begins investigating a terrorism case, security services are completely shut out of the process and are not allowed to gain access to potentially life-saving information. It is also illegal to tap the phones of people suspected of extremism, such as hate preachers, and officials can’t hack phones or computers. Belgian lawmakers are currently debating changing those laws, according to media reports. The same strict divisions between terror prosecutors and security forces do not apply in the U.K. or France, for example, Metsu said. Financing terrorism operations is another place where Belgium can do better. Last year the country of 11 million people spent just $56 million on its intelligence services. The U.S. intelligence budget was $50 billion in 2015, according to the Office of the Director of National Intelligence. Belgian Interior Minister Jan Jambon said Wednesday on Belgian television he disagreed with the assertions the country wasn’t doing enough to fight terrorism. “I don’t understand it. I really don’t understand it,” he said referring to the criticisms.